A campaign on the Internet is objecting to the exclusion of issues like net neutrality, the cyberweapons arms race and surveillance by the U.S. National Security Agency from the discussion paper of an Internet governance conference this week in Sao Paulo, Brazil. A significant section of the participants are also looking for concrete measures and decisions at the conference rather than yet another statement of principles. The proposed text “lacks any strength,” does not mention NSA’s mass surveillance or the active participation of Internet companies, and fails to propose any concrete action, according to the campaign called Our Net Mundial. Former NSA contractor Edward Snowden leaked information about the surveillance programs of the U.S., which allegedly included real time access to content on servers of Internet companies like Facebook and Google. 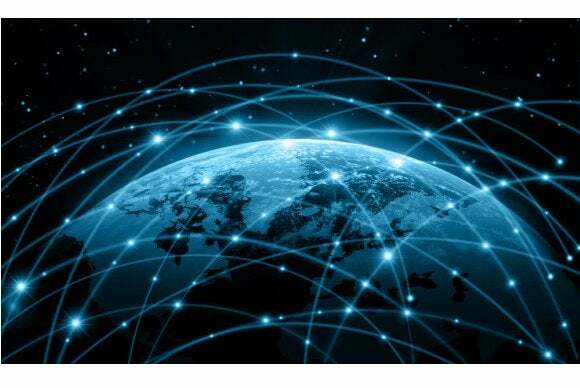 The Global Multistakeholder Meeting on the Future of Internet Governance, also called NETmundial, released Thursday a document to guide the discussions starting Wednesday among the representatives from more than 80 countries . An earlier document leaked by whistle-blower site WikiLeaks proposed international agreements for restraining cyber weapons development and deployment and called for the Internet to remain neutral and free from discrimination. WikiLeaks said the document was prepared for approval by a high-level committee. Dilma Rousseff, the president of host country Brazil, has been a sharp critic of surveillance by the U.S. after reports that her communications were being spied on by the NSA. Though the Brazil discussion document does not directly mention NSA surveillance, it refers to the freedom of expression, information and privacy, including avoiding arbitrary or unlawful collection of personal data and surveillance. The meeting’s call for universal principles partly reflects a desire for interstate agreements that can prevent rights violations such as the NSA surveillance, wrote Internet governance experts Milton Mueller and Ben Wagner in a paper. The Tunis Agenda of the World Summit on the Information Society also called for globally applicable public policy principles for Internet governance. “But there have been so many Internet principles released in recent years that it is hard to see what the Brazil conference could add,” Mueller and Wagner wrote. Neelie Kroes, vice president of the European Commission, wrote last week in a letter to NETmundial that she continued to strongly believe “that the outcomes of NETmundial must be concrete and actionable, with clear milestones and with a realistic but ambitious timeline.” She identified a number of areas where “concreteness” could be achieved, including the globalization of the Internet Corporation for Assigned Names and Numbers (ICANN). The U.S. National Telecommunications and Information Administration said in March it plans to end its 16-year oversight of ICANN. The move appeared to be in response to criticism of U.S. control of the Internet. ICANN’s president Fadi Chehadé has also called for greater accountability for his organization.